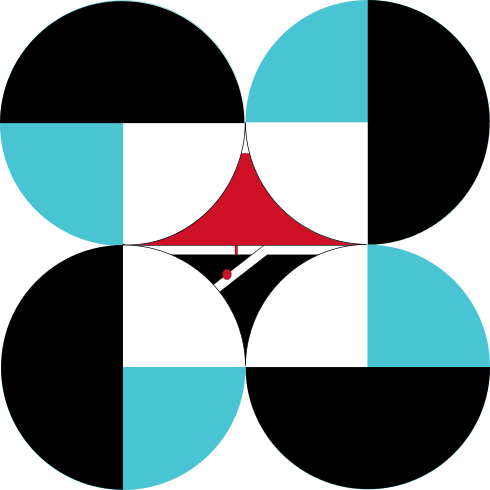 Once again, the Department of Science and Technology - Advanced Science and Technology Institute (DOST-ASTI) lived up to its tag line “moving beyond possibilities” when several of its staff contributed to publish eight scientific papers on well-known conference proceedings and peer-reviewed journals by the end of 2018. Most of these papers documented the research and development (R&D) projects of the agency, and five of which were published by the Institute of Electrical and Electronics Engineers (IEEE). The IEEE provides access to quality publications through the IEEE Xplore Digital Library, which houses journals and conference proceedings with the highest impact factors. The most recent scientific paper that was added to the IEEE Xplore Digital Library is entitled “Resilient Distributed Control of Multi-Microgrid Systems During Failure of Communication Infrastructure”. 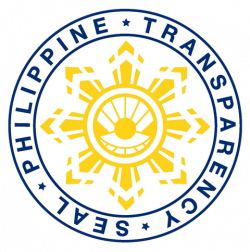 Its lead author, Fredmar N. Asarias, works as a Science Research Specialist II under the Research and Development Division (RDD). He is studying for his doctor's degree in Electrical and Electronics Engineering at University of the Philippines Diliman, and wrote the paper with his adviser, Michael Angelo A. Pedrasa. 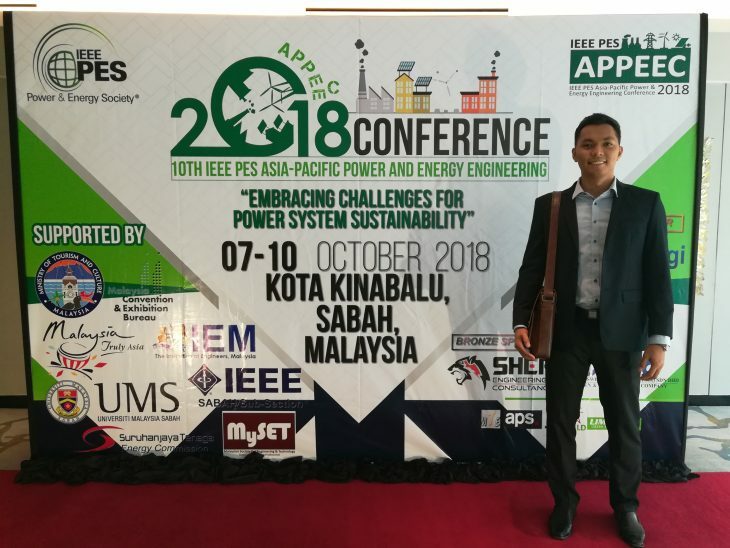 Mr. Asarias submitted and presented his paper in the 2018 IEEE Power & Energy Society (PES) Asia-Pacific Power and Energy Engineering Conference (APPEEC). He said that writing the paper was more of a personal initiative, with some persuasion from his adviser. Together, they chose the topic on smart grid to be able to contribute on the scheme of having smart cities in Philippines. Mr. Asarias also mentioned that his theoretical paper could be applied to the DOST-ASTI’s R&D project, Internet of Things (IoT), wherein devices follow the concept of distributed control. Some IoT researches were about streetlights and unmanned aerial vehicle (UAV). 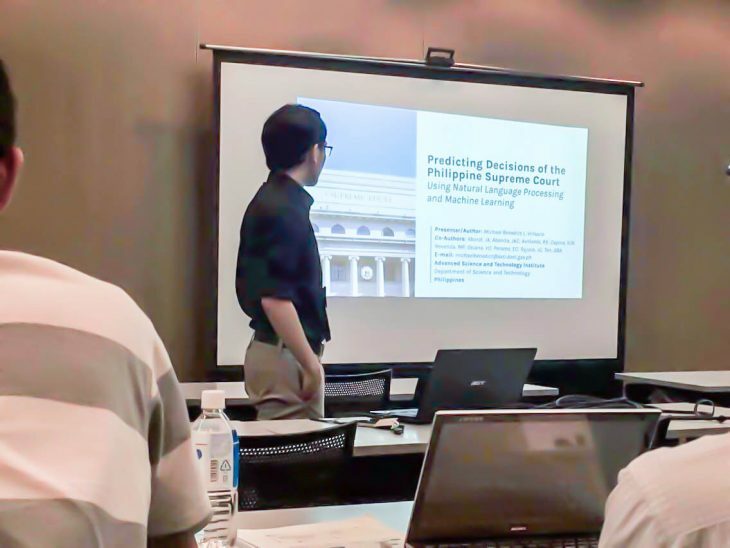 Another scientific paper published by DOST-ASTI staff was “Predicting Decisions of the Philippine Supreme Court Using Natural Language Processing and Machine Learning”, which was presented during the 2018 IEEE 42nd Annual Computer Software and Applications Conference (COMPSAC) at Tokyo, Japan last 23-27 July 2018 and added to IEEE Xplore Digital Library on 22 June 2018 . 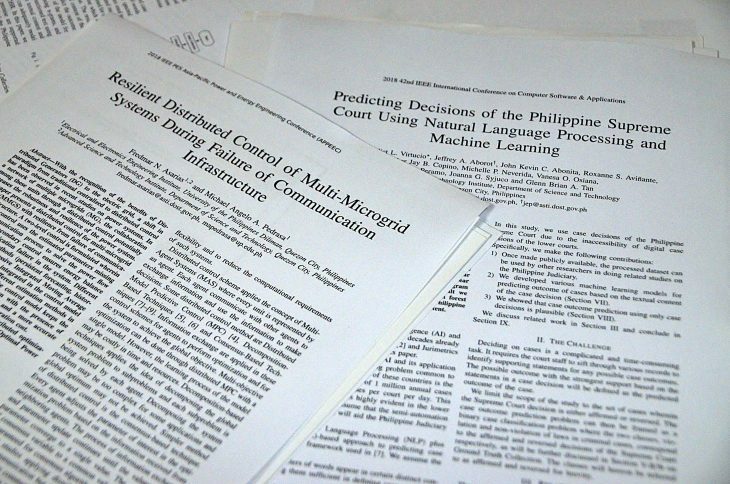 The Computer Software Division’s (CSD) R&D Team wrote the paper to introduce the use of artificial intelligence (AI) in providing solutions or improvements to basic socioeconomic problems. Particularly, the paper assessed the feasibility of applying a natural language processing and machine learning-based framework for automatic binary classification of filed court cases into two classes: (1) with violation and (2) without violation. Aside from these two featured publications, the DOST-ASTI staff submitted and published three more papers to the IEEE Xplore Digital Library in 2018: “Empirical characterization of fading effects due to on-axis rotation of an embedded antenna” authored by Calvin Artemies G. Hilario and Dr. Joel Joseph S. Marciano Jr., “Development of deployable antennas for the Diwata-2 microsatellite's amateur radio payload” co-authored by Dr. Joel Joseph S. Marciano Jr., and "Doppler tolerant modified P4 code (DTMP4 code) for pulse compression radar" co-authored by Dr. Marciano.